Availability: This product is on back order. If you would like to be added to the waiting list, please contact us. Exclusively available only at Summers at the Cottage! So vintage chic with scallop edges. 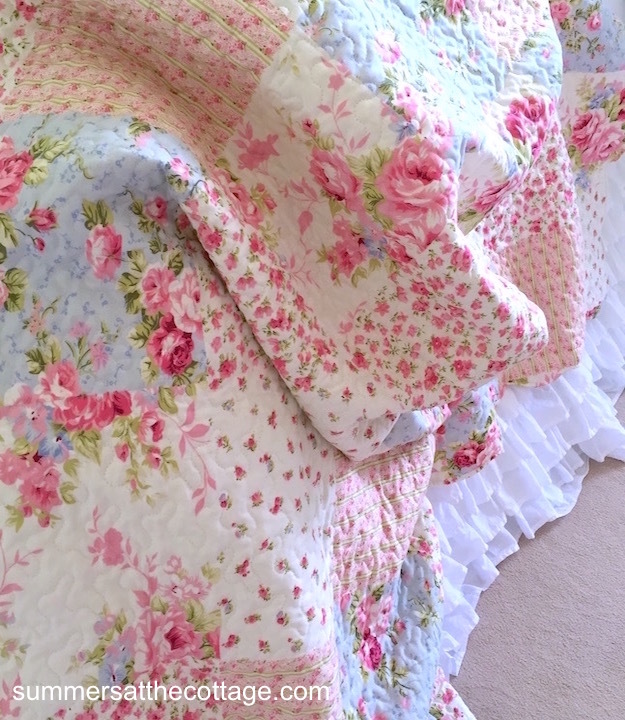 The perfect Vintage Chic Cottage Pink Roses on blue and light cream with trellis stripes and a gorgeous printed patchwork design. 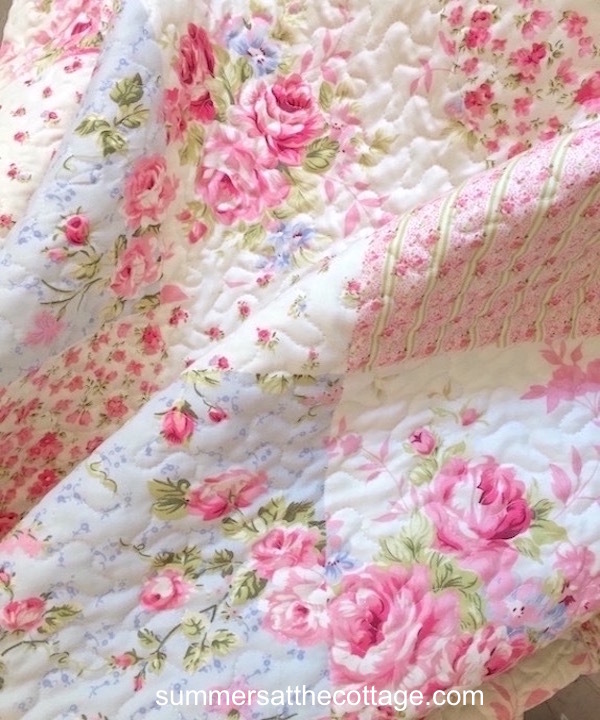 This stunningly beautiful quilt set is light weight, which is perfect for summer and add a blanket underneath for winter. This patchwork design is so cottage chic! 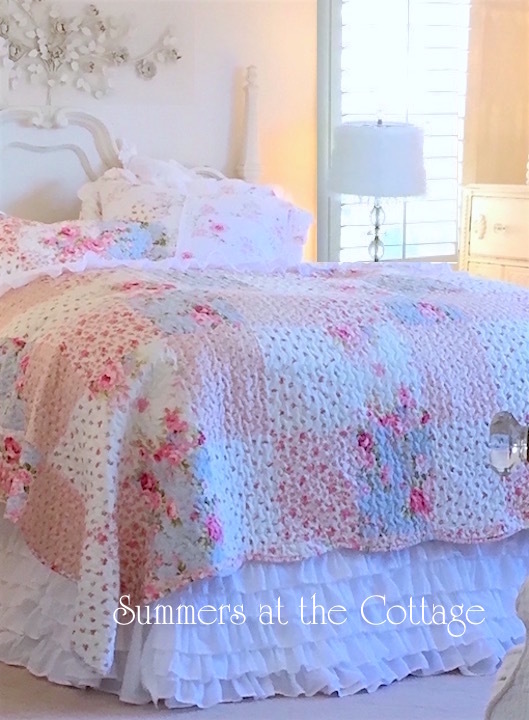 Roses are one of the most beautiful cottage flowers ever, and this sweet vintage chic cottage roses bedding has it all. 100% cotton filling, machine wash warm and permanent press dry, and so soft after washing! Brand new in package with all of the perfect cottage colors!